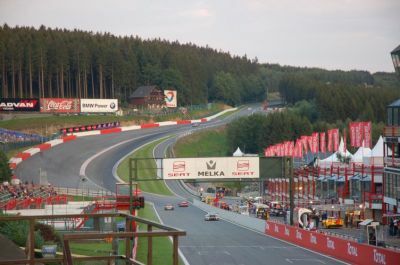 Welcome to my website all about the wonderful Spa-Francorchamps motor sport circuit in Belgium. Having visited a number of times I wanted to put together a site full of information about visiting the circuit and the surrounding area so that others can enjoy visiting as much as I do. Hope you enjoy the site and find it of use. Please take note of the Disclaimer before you start sending me emails about all the things you don't agree with or believe are totally wrong! I will point out that this site has been created based on my experiences and view point as well as containing some views of others. Therefore you may have very differing views. Finally, please take a moment to look at the 'How you can help' section before you leave the site. Many thanks and happy motor racing holidays to you all.